Defra has published the latest annual figures for fly tipping incidents in England for 2017/18, which have so far been reported in The Times and BBC online. The figures show there has been a decrease of 1% in fly tipping incidents for the 2017/18 year, following annual increases since 2013/14, and that total incidents involving household waste have decreased by 4%. The number of fly-tipping incidents on highways has also decreased by 7%. Local authority enforcement actions increased by 4%, and the number of fixed penalty notices issued by councils went up by 20%. Today’s figures show our tough actions to crack down on fly-tippers are delivering results, with no increase in the number of incidents for the first time in five years. 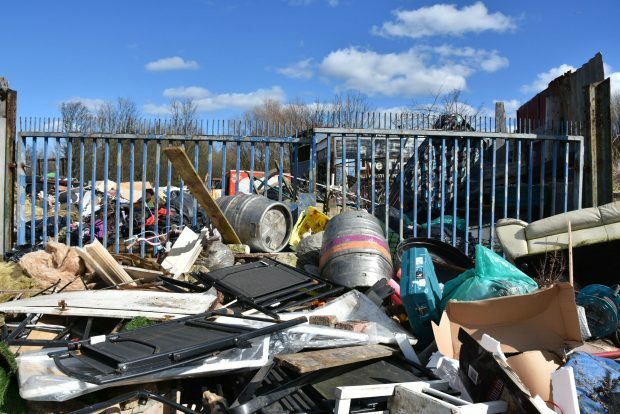 New fixed penalty notices for householders who pass their waste to a fly-tipper also come into force shortly, as we continue our efforts to crack down on those who blight our landscapes. The number of ‘significant/multi’ load incidents increased from last year by 45%, which includes incidents of any size larger than that of a "tipper lorry load”. The involvement of serious and organised criminal gangs in the waste sector appears to be increasing. These gangs are often involved in large-scale dumping. Environment Secretary Michael Gove commissioned an independent review into organised crime in the waste sector, which was published on 14 November. Recommendations from the review will be considered as part of the resources and waste strategy where we will set out our approach to tackling all forms of waste crime. We support local partners through the National Fly-Tipping Prevention Group (NFTPG) which has published a series of fly-tipping prevention guides for householders, businesses and landowners, outlining best practice for the prevention, reporting, investigation and clearance of fly-tipping. Householders can check a waste carrier is an approved carrier on the Environment Agency website.